The Canadian Pess: Rallies are planned across southern Ontario today to protest what activists say is the unfair detention of nearly 200 migrants at a provincial jail. 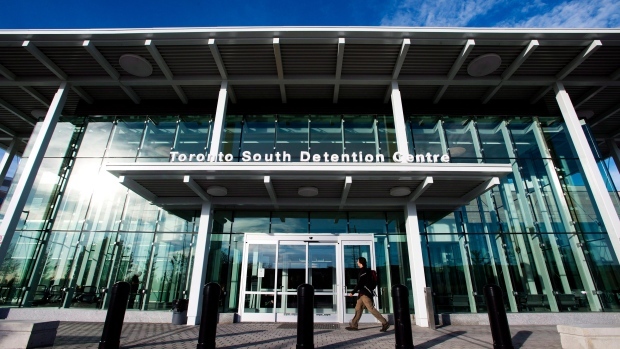 The group End Immigration Detention says 191 detainees ordered deported are being kept locked in cells for up to 22 hours a day at the Central East Correctional Centre in Lindsay. It says some of the migrants have been held for years in what it calls “arbitrary” detention because they can’t be sent back to their home countries. The group says protests and other events are scheduled in Guelph, Kitchener, Lindsay, London and Toronto. It says migrants should never be held in maximum-security detention. It`s also calling for a 90-day limit to hold migrants pending deportation, and full legal aid access for detention reviews. Migrants in the Lindsay jail have been on “strike” since Sept. 17 to protest their treatment, with some hunger striking to demand better conditions. “We have been here on hunger strike because what immigration has done is not right,” said migrant Ayad Alshmmar, who’s jailed in Lindsay. Alshmmar has been there five years and eight months, during which time he says he`s been diagnosed with cancer. “They know I have cancer, but they don’t care about it,” Alshmmar said of immigration officials. “I said you guys put me in jail and I am sick. In this situation you have to do something. You have to release me to my freedom,” he said in a release.